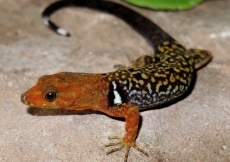 The genus Gonatodes was established in 1843 by FITZINGER and according to recent findings, it belongs to the family Sphaerodactylidae. 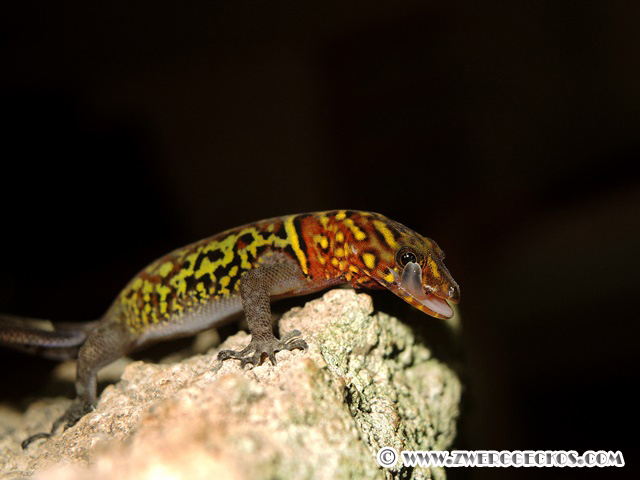 The genus includes 22 species and 6 subspecies, which have its distribution focal point in the northern part of South America, west of the Andes. 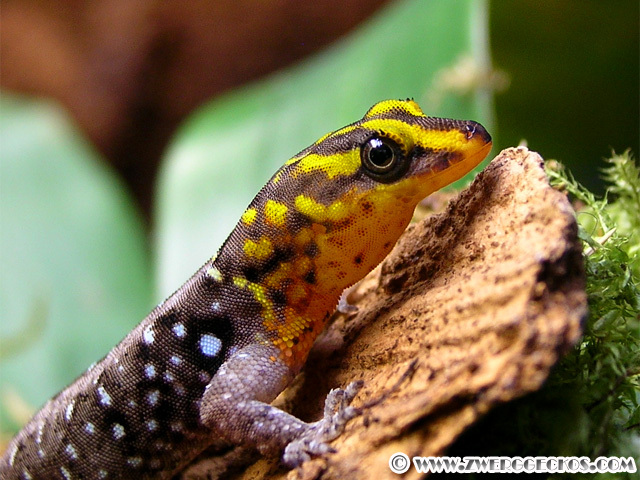 Their occurrence extends south to the southern edge of the Amazon Basin in the Brazilian state of Mato Grosso and to Bolivia. 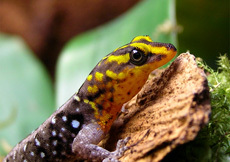 To the north, the distribution extends to Guatemala (apart from displaced species in Florida) and up to some of the islands of The Greater and Lesser Antilles. 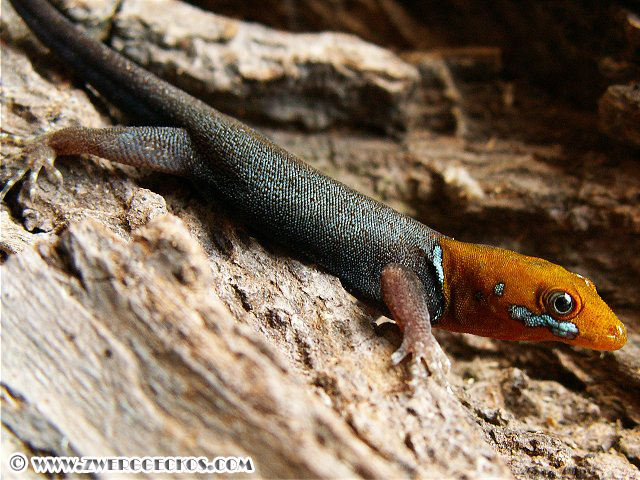 Within the genera Sphaerodactylidae, Gonatodes and Lepidoblepharis are considered sister groups. 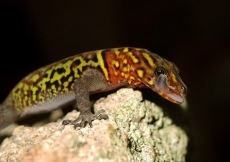 Unlike most typical geckos, Gonatodes possess simpler adhesion discs on their toes, thus they cannot climb smooth surfaces. 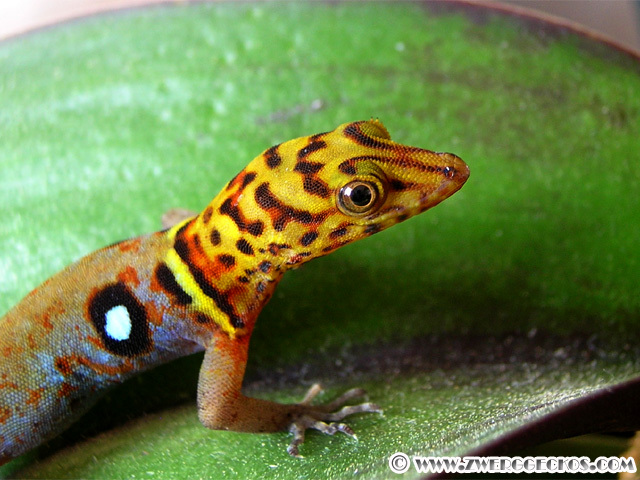 They also cannot retract their claws, unlike all other ball-finger geckos. 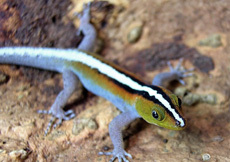 The body of Gonatodes is mostly covered in fine granular scales. 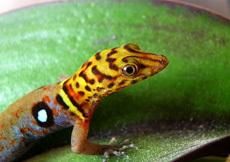 Most species reach an overall length of 10 centimeters, while only a few (Gonatodes ceciliae, Gonatodes ocellatus, G. infernalis) are larger. 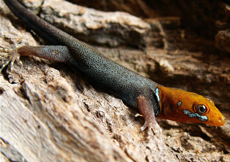 Sexual dimorphism in Gonatodes is particularly strong. 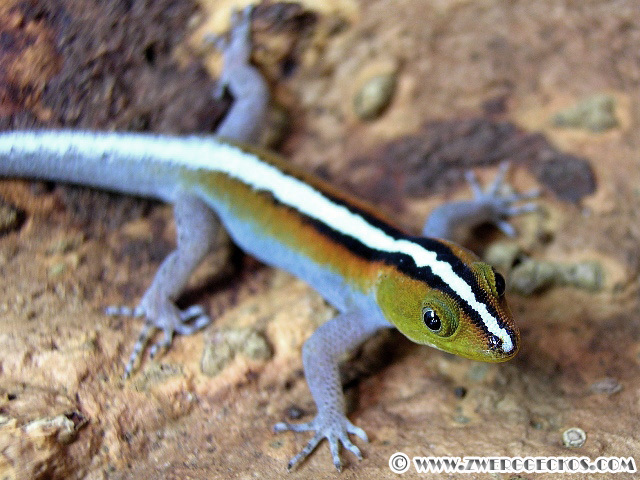 While the males exhibit beautiful coloration, the females are simply brown-gray in color. 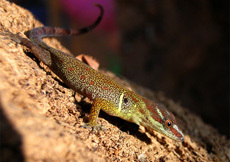 Next to the coloration differences, males can clearly be distinguished by their characteristic Escutcheon; a series of enlarged shiny unpigmented scales between the legs on males. 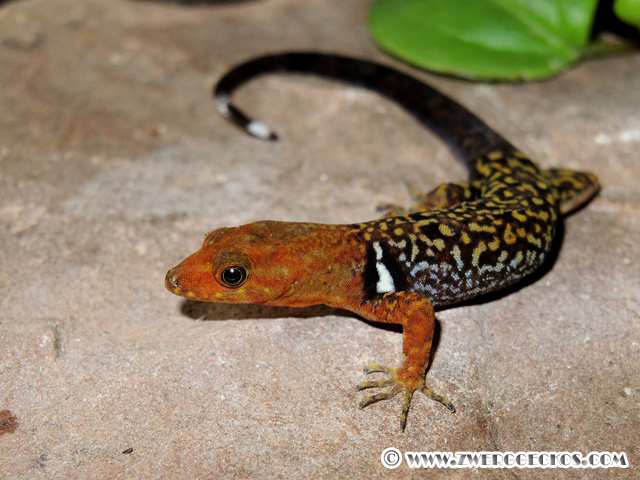 In its natural habitat, Gonatodes are mainly located in shaded and partially shaded areas. It is predominantly a tree dweller, situated in an elevated position behind bark, in rotten wood or similar, up to 2 meters off of the ground. 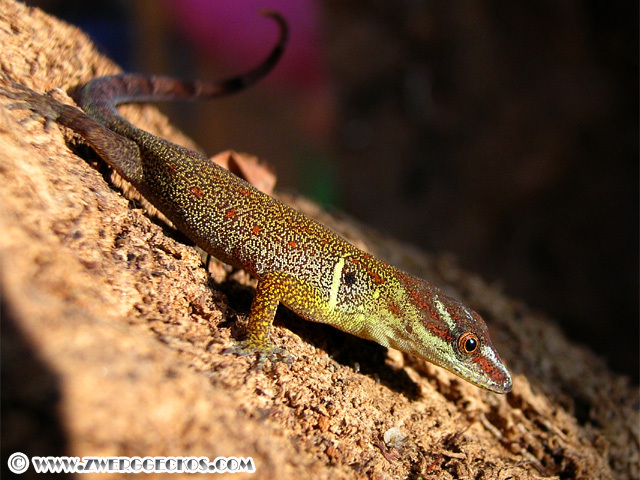 Some species are considered heliothermal, but most avoid the direct sunlight or seek it only briefly.